Best Supporting Role: Shakespeare’s Globe theatre in London, which played a vital part in the development of the Plyscraper and cross-laminated timber buildings. Image by LIeLO (via Shutterstock). 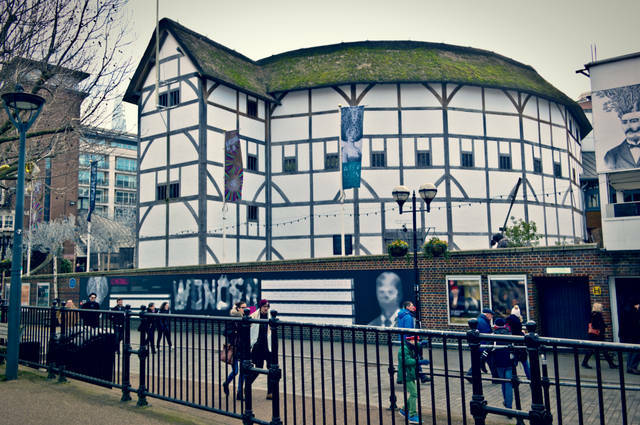 Any student of English Literature would have come across the Globe Theatre in London. The original structure, which opened in 1599, was synonymous with William Shakespeare and the performance of his plays. Years after closing in 1647, a replica of the theatre opened in 1997 – again using all-timber construction. With the best of modern day techniques, it proved that timber could be used for strong, safe, and secure public buildings. It also led to the Plyscraper, an all wooden version of a skyscraper. So, how did a replica of Shakespeare’s theatre in South London help to pave the way for future timber buildings? One knock-on effect was the arrival of CLT: cross-laminated timber. Its strength and lightweight construction makes for a suitable alternative to bricks. Especially with load-bearing walls. Cross Laminated Timber is made of three, five, or seven different layers of timber. Glued together, each CLT panel is robust enough for prefabricated buildings. The rise of the plyscraper is expressed by Waugh Thistleton Architects’ Dalston Lane development in Hackney. This has ten storeys and is, at this very moment, the largest cross laminated timber built structure in the world. Shortly, this could be usurped by PLP Architecture’s 80 storey plyscraper. Shakespeare’s Globe could owe a debt to the UK’s first all wooden stadium. This concerns Eco Park, the new home for Forest Green Rovers. Their forthcoming new home was the subject of a previous blog post on our site. On another note, we would like to congratulate the Gloucestershire club on their promotion from the National League Premier to the English Football League’s League Two. Theo’s Timber, 15 May 2017.